Walter De Cassan is the chairman of Federalberghi Belluno. 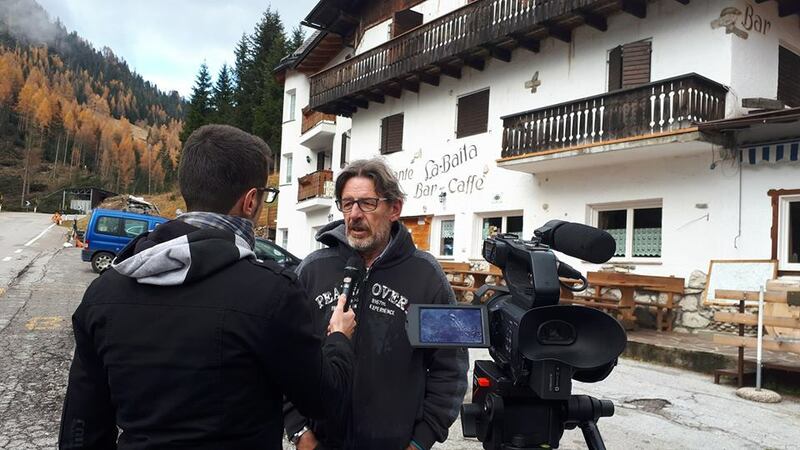 Several days have passed since the flooding: what can he see from the window of his hotel in Cernadoi in Livinallongo del Col di Lana (Belluno)? “Thousands of felled trees, a completely different landscape. I can see a beautiful larch tree which survived the flooding of 1966. I was only four, I can remember it was all bent, with branches on just the one side. Over the years it straightened up, the branches grew back. Even this time it stood its ground”. Like the inhabitants of the Dolomites. Crushed and exhausted, and in some cases bent, grieving for the victims. But not broken. Ready to make a new start. “It was a really frightening experience… when you see stones rolling uphill, pushed by the wind, and water which, instead of flowing down the road is actually going up it, well nothing can frighten you after that”. What about the forthcoming winter season? “If the electric lines are repaired and we can activate the artificial snowmaking system, I think it will go well. I’m more worried about the summer season: hundreds of miles of paths are impassable, but we mustn’t be disheartened. We’ve got to be optimistic: even the Region is spreading an important message for the winter season. Optimism doesn’t fill your stomach but it does make you feel better!”. “Unfortunately,” De Cassan points out, “the environmental disaster has also damaged our image which, in this case, we had no control over. It concerns the image of the Dolomites, the actual appearance of our valleys. We need to rebuild and I think we should start with the slopes that have the greatest avalanche risk. As regards the rest, I’d tread carefully: the woods may grow back on their own, we need a sensible strategy to prevent throwing resources down the drain”. Will tourism pick up again? “Absolutely. In fact, the way we have all helped each other has been really impressive. Our environmental heritage is damaged but it’ll recover, our cultural heritage has shown how strong our ability to react really is”.